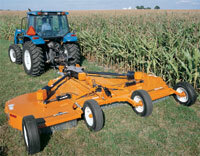 Powell Equipment Parts has one of the largest selections of rotary cutter and finish mower parts in North America. So whether you need a gearbox for your rotary cutter, blades for your brush hog, or a belt for your finish mower, we have it in stock at one of our warehouse locations. Many of our rotary mower parts are Made in The USA! Powell Equipment Parts is supported by warehouses throughout the United States and Canada. 95% of our mower parts ship the same day you order and most arrive within two days! Powell Equipment Parts has been family owned and operated since 2000. We gladly help the inexperienced or the first-time rotary cutter or finish mower owner obtain the correct parts that he or she may need. Regardless of your experience, we are happy to help you! Thousands of other rotary mower parts are availabile that are not listed in these parts catalogs! Rotary Cutter Parts, Bush Hog Mower Parts, Brush Hog Mower Parts, Rotary Mower Parts, Flail Mower Parts, Flail Shredder Parts, Finish Mower Parts, Drum Mower Parts, Boom Mower Parts, Flex-Wing Rotary Cutter Parts, Flex-Wing Mower Parts, Batwing Rotary Cutter Parts, Flex-Wing Finish Mower Parts, Sickle Bar Mower Parts, Disc Mower Parts, Turf Mower Parts, Commercial Mower Parts, Industrial Mower Parts, Roadside Mower Parts, Highway Mower Parts, & Municipal Mower Parts.